a close analysis of the attitudes to particular usage problems among the general public, based on surveys distributed online through the "Bridging the Unbridgeable" research project’s blog. 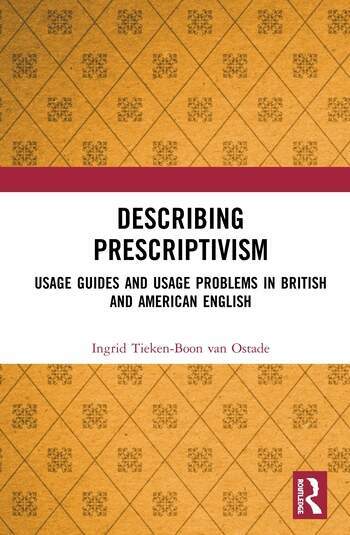 With extensive case studies to illustrate and support claims throughout, this comprehensive study is key reading for students and researchers of prescriptivism, the history of English and sociolinguistics. Chapter 8. The end of prescriptivism? Ingrid Marijke Tieken-Boon van Ostade is Chair in English Sociohistorical Linguistics, University of Leiden, The Netherlands, and Head of the BA English programme, Leiden University Centre for Linguistics.